Elephant, the chic nightclub once based in Pedralbes, is now in the city center, just a block from Passeig de Gràcia. The restaurant and lounge bar serves fusion Asian-Mediterranean cuisine in an elegant space decorated in baroque style. Chef Robert Pascual sets out a menu grounded in Spanish cuisine with creative, international additions: dishes like ceviche, foie gras “foam” or tuna tataki. 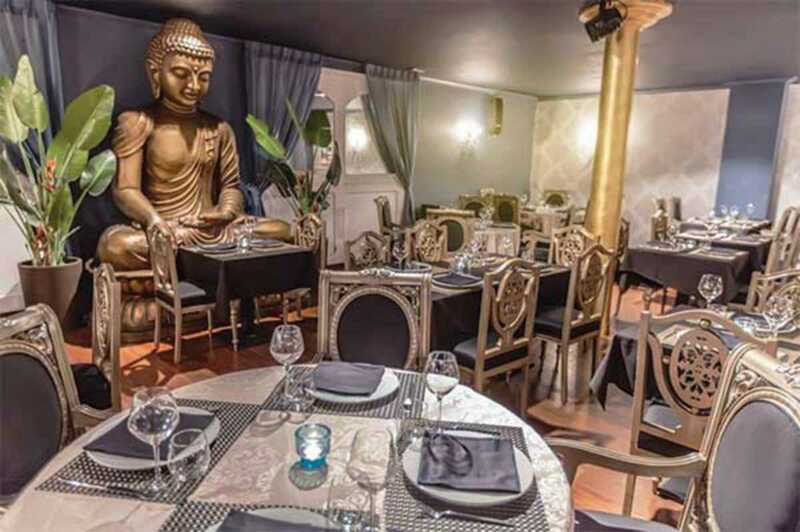 The venue houses a half-ton bronze statue of an elephant as well as an old Buddha, a nod to the venue’s former life as Buda Barcelona. There are DJs every night, great cocktails and VIP tables for reservation. Instead of stumbling around the city trying to find a good place to eat, a bar for drinks and a club for dancing, have all of the above at the same place, in style, at Elephant.